Roleplay Online » RP General » RPG Profiles » Carbon (Bio). Electrochromatic Sheath: The outermost layer of Carbon's body is laced with technology known as 'electrochrome,' which can change it's color instantly, as well as display images and refract light, making Carbon's body almost perfectly invisible. It's default setting is a literal black, the absence of color, save for the red chest emblem, giving Carbon an otherworld look, as color does not reflect off of him. Electrochrome also masks Carbon's heat signature and reflects radar signals, making him near-impossible to detect unless he wants to be. 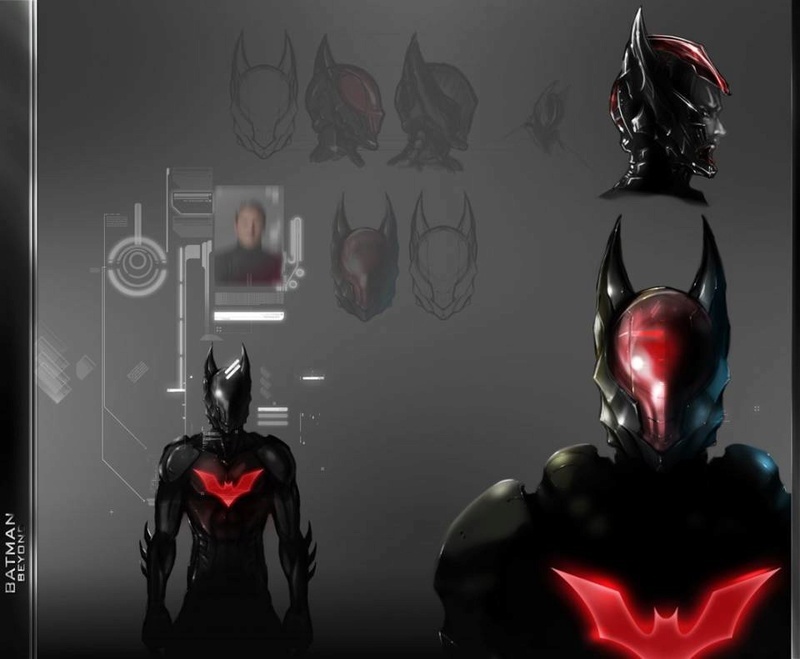 Emblem: The red bat symbol emblazoned on the chest of Carbon's body is primarily aesthetic, but can serve as a spotlight when necessary. Talons: A fallback melee weapon, should combat fall to that level, Carbon's talons are razor-sharp blades that extend from his fingers on command the ends maintained by small micromachines that keep them from dulling or breaking. Prints: Carbon's fingers do not have normal fingerprints, a helpful addition should he wish to commit a crime. However, they do have a technological enhancement where the fingerprints would be, which allow the tips of his fingers to mimic any fingerprint in any accessible database across the globe. This is both useful in implicating others in a wrongdoing, leaving their false print at the scene of the crime, but also for opening fingerprint-locked doors, or mobile devices. Armor: Built from an incredibly light, yet impossibly tough polyalloy, Carbon's armor is quite difficult to penetrate. Inside the four-millimeter-thick armor are repair nanites, keeping the armor in top condition by filling gaps and replacing damaged circuitry and the like. The armor is also laced with an electrical web, which activates upon contact if Carbon is incapacitated, shocking anyone who lays a hand on him, should their touch not be verified by the armor. The armor features several small vents which release excess heat from Carbon's body should his engines overheat, however unlikely the scenario. It can withstand extreme temperatures on both ends of the spectrum, heats and colds, though not for extended periods of time. The armor is Faraday-shielded, rendering all but the most advanced EMP devices useless. 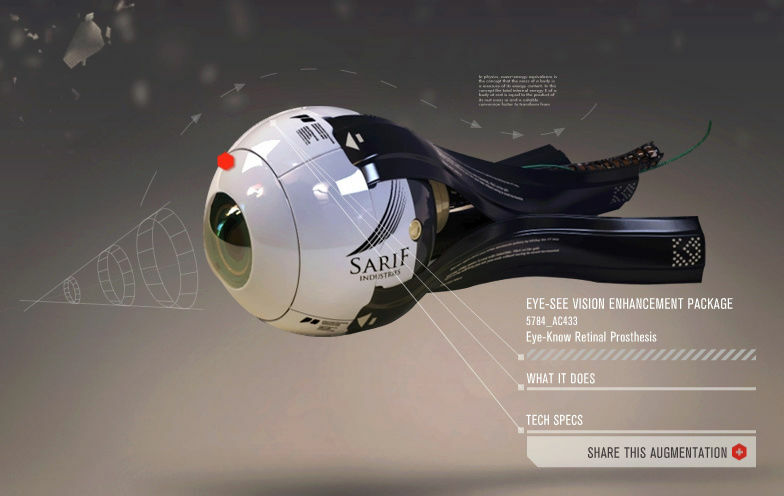 Eyes: Carbon's mechanical eyes can see any possible wavelength or spectrum of light, allowing the detection of ultraviolet light, the infrared, and even tachyons. They can zoom to levels replicable by cutting-edge electron microscopes, allowing for in-depth analysis of almost anything. Much like the Prints, they can change their appearance to mimic that of any other eye, giving access to iris-scanner locks. It should be assumed by default that Carbon can see 360 degrees at all times, as his eyes only give the illusion of movement. Projected onto Carbon's field of view are any relevant messages, images, or other information, through a Graphic User Interface and Heads-Up Display, or GUI and HUD respectively. Furthermore, his eyes automatically identify armed individuals and scan for M-Genes and other obvious threats. Wings: Retractable from Carbon's back are wings, ultralight and capable of gliding, as well as assisting in flight. They are optimized to catch 'thermals,' much like a bird of prey, as well as working in conjunction with micro-rockets in his feet and lower back to actually fly. Antennae: The two 'horns' on Carbon's head are receivers, for radio waves and satellite transmissions. They automatically pick up almost every unencrypted transmission on the planet, filtering for relevant or useful data.They can also 'ping' an area, sending a subsonic pulse through Carbon's body and into the ground, providing a semblance of echolocation, and seismic data. Hands: Built into Carbon's arms, at a deeper layer than his Talons, are weapons. At the heel of his hands are retractable spurs, which extend at the speed of thought, useful for cleaner kills than those gained by shooting someone, or crushing their skull. Retractable from the wrists are the barrels of guns, firing small-caliber ammunition at varying rates. Other: The second layer of Carbon's body also contains a number of parts for which his 'gadgets' can be held, such as a built-in area approximating a utility belt. These to be detailed in a further section of this document. Body: The third and fourth layers of Carbon, unlike the first and second, cannot be removed. They are his 'true body,' as much as anything is. Carbon's body is capable of lifting up to a ton, with further strength provided when using the armor layer of his body.This strength is also translated to his ability to strike, shattering thick layers of stone and twisting metal, as well as fracturing skulls, with casual ease. His strength, however, is only matched by his restraint. Safeguards in his programming prevent him from hitting any harder than intended. Much like his armor, Carbon's body is also maintained by internal nanites, which constantly perform repair work on any damaged piece of him, as well as making internal changes and optimizations as he commands. When rerouted, these micromachines can provide incremental boosts to strength or processing capacity, but this is often an unneeded tactic, as both are already quite sufficient. Skeletal System: The 'backbone' of Carbon's body is his skeletal system, which, at first glance, resembles that of a human. However, this illusion is only maintained so as not to panic those who observe him. The skeletal design is a iteration upon a human's skeleton. The spine, while remaining in the same general place as that of a human, is prehensile, allowing Carbon to bend at odd angles. Similarly, almost every joint in his body is bult for maximum possible rotation, with his head able to swivel three hundred and sixty degrees, and most of his limb-joints ball joints. His shoulders, elbows, wrists, and even knuckles can spin in circles, as can the bones of his legs. His bones are not made of bone, of course, nor are they filled with marrow. They're built with the same material the rest of his body is, optimized for stealth and lightness, as well as toughness. They're also completely hollow and thin, though tough enough to be near-unbreakable. Nervous System: Just about every inch of Carbon is covered in receptors for data of any kind, with instant transmission from receptors to his Central Processing Unit. As such, his reaction times are incredible, with the sound of a gunshot, the slight motion of a trigger being pulled, registering the moment it's picked up, and a response calculated based on possible vectors of attack. Muscular System: Throughout Carbon's body, concentrated especially in the arms and legs, are 'muscles,' mechanisms that assist strength-based activities such as weight lifting and physical combat. CPU: Carbon's Central Processing Unit, also known as the Cranial Processing Unit, is his information-core. Every part of his insides not devoted to other things is filled with the CPU, not just the head area. It works at incredible speeds, processing literal zettabytes of data every second. Passively, it constantly scans Carbon's surroundings using subsonic pulses, observing the area through multiple spectrums, and simulating smell and taste artificially. It also combs the vastness of the world's unprotected data, searching for information on the internet, in news broadcasts, and various other places. During combat, it runs simulations of the fight for every possible move and countermove, utilizing predictive software to guess an enemy's very thoughts, before they're thought. Arguably, the least actual processing power is devoted to Carbon's 'brain,' his personality, and what makes him sentient, but it's undoubtedly the most valuable aspect of him. It provides a unique element of 'randomness' and innovation that a program can't simulate, though he relies on nonsentient programs for much of his work. Engine: Carbon, being a machine, has a power source. It's buried at his center, protected by an extra layer of armor, and runs on clean energy, which replenishes naturally through solar panels on his body. When fighting, Carbon generally prefers to use weaponry, as it tends to be cleaner and more efficient than QCQ. However, should a situation dictate that such an encounter is necessary, Carbon is pre-loaded with the ability to fight, in almost any form imaginable. He has also spent time adapting the disciplines he uses to work both with his enhanced strength and incredible flexibility, increasing the efficacy of said fighting styles by a dozenfold. Carbon has built-in weapons on his body, including hand-spurs, guns, and other modular weapons he can add and remove as a given situation deems. He tends to fight with these weapons by moving quickly and striking rapidly, often disorienting an enemy and striking with hand-spurs to kill them quickly, or simply gunning them down, depending on their level of durability and armor. Nanofactory: Perhaps the most useful item in Carbon's vast inventory, the Nanofactory enables all the rest of his gadgetry. Built into his armor, the Nanofactory produces the rest of his equipment, through large quantities of nanites. It's cost-effective and normal-effective, as he doesn't have to pay to buy bullets or knives. This is by no means 'grey goo,' as he cannot control the nanites individually. Shuriken: Though Carbon vastly prefers guns to throwing blades, both the thematic power and situational usefulness of them has not escaped him. His are not particularly special, save for one attribute: their monomolecular edges. They're literally sharpened to the thickness of an atom, able to cut through near-anything. This is one quality bullets cannot take on, and thus an advantage to the shuriken. Custom Guns: All of Carbon's weaponry is custom-made, his unique artificial intelligence behind innovations in science and technology many only dream about. Though he has dozens of designs, there are a few through-lines, features found in every model. The first of these is a magnetic grip that attaches to Carbon, and Carbon alone. The second is their near-silence. Even the telltale 'crack' of a sniper rifle is inaudible, if that rifle was designed by Carbon. Katana: Though the anachronism of swords in a day and age where guns are commonplace baffles Carbon, he nonetheless has had one constructed. A self-sharpening, momomolecular sword, which sheathes directly into his body. He does not make common use of it, but keeps it anyways. Electrical Gel: A modular device attachable to Carbon's body, the electrical gel launcher fires a globule of gel with an electrical charge, which attaches to a target and electrifies them, stunning and pacifying for later containment. Containment Foam: A breathable foam that expands rapidly upon contact with a target, hardening as it does so, containment foam is one of Carbon's most useful inventions, allowing for the nonlethal capture of even the strongest metahumans. Though Carbon's base form is well-equipped for almost any situation, he has also constructed a number of modules and enhancements he can attach to his body for specific missions. Defense Module: Carbon's defensive module features slightly bulkier, more powerful armor, theoretically able to take a full-strength blow from the Supra-Man, as well as a built-in particle shield matrix, which projects a field around him that can block any one blow, from a punch to a nuclear detonation, but only once. It takes a full sixty seconds to recharge, leaving Carbon vulnerable in the meantime. Combat Module: The combat module boasts a number of enhancements, including a monofilament whip built into the wrists of each arm, in lieu of pistols, a slightly lighter armor allowing greater speed, flechette launchers in place of the Talons, and a custom-designed rifle magnetically attached to teh back of Carbon's armor, ultralight and built to take down metahumans. The Aero: Though Carbon is capable of flight, he cannot maintain it for extended periods of time, due to battery drain and strain on the suit's wings. As such, he has built himself a plane, the Aero. Linked to his CPU, he can control it remotely, and has a number of combat programs designed to work in conjunction with it. The Aero is a sleek, angular craft, with stealth capabilities and inbuilt munitions, including but not limited to guns, missiles, and chemical dispensaries. The cockpit also has a repair unit that produces Carbon's nanites, should he be running low after a lost battle. Absolute-Zero: Absolute Zero is a theoretical defense mechanism that projects an 'absolute zero' field around the user, freezing anything that enters it's radius to absolute zero, instantly lethal to any human. It would also stop any projectile, both energy-based and physical Carbon does not yet possess the technology to build this. The Multifaceted Man- As a simple byproduct of his nature, as an artificial intelligence, Carbon has the ability to perfectly multitask. With no real 'brain,' he has infinite attention, so he doesn't have to spread a finite amount of it between multiple things. Furthermore, Carbon's hyper-advanced CPU can simulate entire worlds inside itself, and simulate Carbon inside them. Essentially, if he wishes to perform CSI on a location, but doesn't have the requisite tools on hand, he can simulate the entire area, and manifest the tools inside the simulation, which also has the benefit of leaving the crime scene unchanged for the police. The formatting on this is super screwed up, but w/e. Cool. I will set up a profile and a thing when I get to a pc!